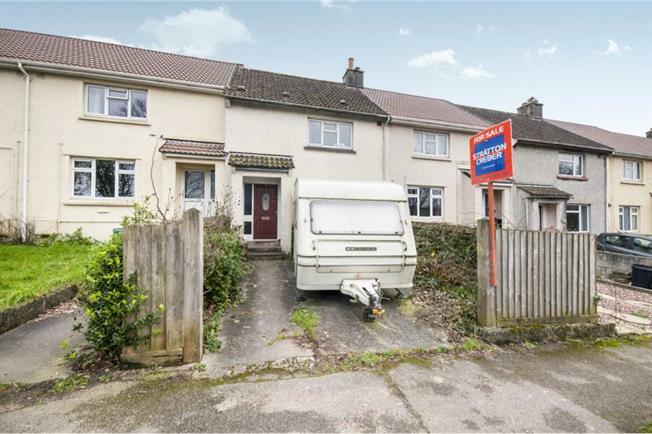 2 Bedroom Terraced House For Sale in Redruth for £132,500. This two bedroom house is located on the outskirts of the Redruth Town Centre and comprises an entrance hall, lounge, kitchen/diner, two bedrooms and a bathroom. There is an enclosed rear garden and parking to the front. The property benefits from double glazing. Doors to lounge and kitchen. Stairs to first floor. Double glazed window to the front aspect. Fireplace. Double glazed window to the front aspect. Night storage heater. Fitted cupboard over the stairs. Double glazed window to the rear aspect. Night storage heater. Double glazed window to the rear aspect. Panelled bath with shower above. Close coupled w.c. and wash hand basin with cupboard below. Tiled walls. There is off road parking to the front of the property. The rear garden is enclosed and laid to lawn with an outhouse and pathway.